What’s up with this bikepacking fad? We’ve had a few folks come through the shop looking for information on bikepacking. Is this a new phenomenon? The latest craze? The industry’s attempt to convince us we need yet another bike in the quiver? Well, whatever it is, it’s happening and bikepacking in West Virginia is about as good as it gets. Fortunately for us, our playground here in Tucker County is the perfect place for it. A customer’s Salsa Fargo along Canaan Loop Road. the synthesis of mountain biking and minimalist camping; it evokes the freedom of multi-day backcountry hiking, with the range and thrill of riding a mountain bike. It’s about forging places less travelled, both near and afar, via singletrack trails, gravel, and abandoned dirt roads, carrying only essential gear. So, do you need to go out and invest in all new gear in order to bikepack? Not necessarily. Although there are bikes and specific gear available, you can certainly introduce yourself to the sport with the gear you most likely already have–start with a short, local trip using stuff from your gear closet. 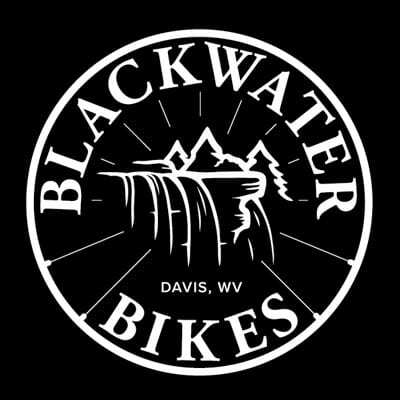 If you’re interested in bikepacking in West Virginia, you could do a quick overnight trip along Forest Road 13 (Canaan Loop Rd), a 24 mile loop on a forest road accessed right from the town of Davis, West Virginia. If you like mountain biking and camping, then bikepacking in West Virginia might be your next adventure. A completely outfitted Surly ECR. Surly and Salsa make some great bikepacking specific bikes. We are partial to the Salsa Fargo (www.salsacycles.com ). A bone-stock Salsa Fargo X7 is an awesome rig at a cost that won’t break the bank. You can outfit it with some sweet bags from Revelate Designs (www.revelatedesigns.com) and be well on your way to a great multi-day trip. As with all backcountry travel, be sure to plan ahead. Make sure you have plenty of water and food, your gear is adequate, and you have a Plan B in case the sh#t hits the fan. Bring a friend. There’s no need to go at it alone—talk a co-worker or a neighbor into trying it for the first time too. Don’t forget to have fun. It’s whatever you want it to be! One of our loyal customers helping to outfit his new Salsa Fargo for its maiden voyage. For more general information on the sport of bikepacking, visit www.bikepacking.com. If you’re interested in getting some new gear or need some local intel on suggested routes in our area, feel free to call the shop or stop in for a visit. We have maps of the local trails and forest roads that will make for some nice overnight trips. Now, go do your homework and get out and bikepack! Hey if your interested I can arrange a showing of this bikepacking movie (http://www.rollwithitmovie.com) . I’m the rep and live close. I just learned you took over BLACKWATER. Id love to talk further…my info is below! Hi Rob- I met you this weekend with the guys from Pittsburgh. We had a great weekend of riding and also took in the Brew Skies Festival. I was curious about your blog as I write one as well. http://www.chroniclesofmccloskey.com You have a nice shop and I referenced it on an article that will appear on-line next week in http://www.seniorsskiing.com I will forward it to you or you can check the site next week. I do a little writing on the side with my blog and for SeniorsSkiing and will gladly follow yours and check in from time to time. You are living the dream. Thanks for giving us some help and some tips this weekend.